Create the Burger of the Month for the 2011 New Year! To kick off the New Year in 2011, Teddy’s Bigger Burgers would like to invite all of our friends and fans to create the Burger of the Month for January! All you have to do is visit our Facebook page at facebook.com/teddysbiggerburgers and post on our wall with your idea of what the Burger of the Month should be to kick off the New Year in January 2011! You’ll have from Monday, November 22nd to Friday, November 26th to post! Entries after Friday, November 26th will not be considered, so be sure to post soon. 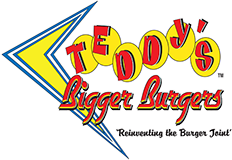 After Friday, November 26th, the Teddy’s Bigger Burgers staff will review all the entries and pick the one they like the best. The winning entry will then become the Burger of the Month for January 2011! Let your imaginations run wild and your creative juices flow! This is your chance to become a part of the history of Teddy’s Bigger Burgers!